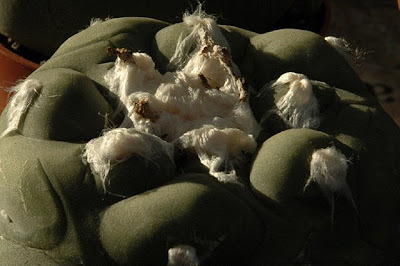 Since 2004 I've experimented with growing Lophophora, Epithelantha, and Acharagma in an unheated greenhouse in Denmark. 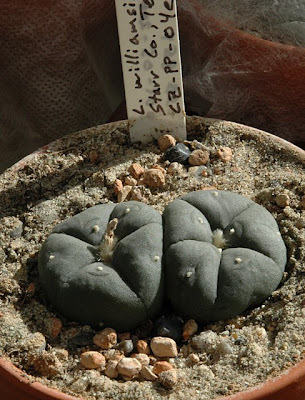 Last year I also added some Ariocarpus plants to the experiment, both seed grown and larger plants bought from Mesa garden. 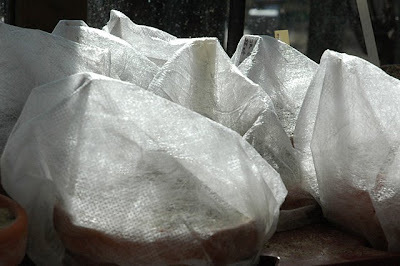 This winter has (as usual, I'm tempted to say) been damp but not very cold - the coldest temperature registered inside the coldhouse was -5C (23F) so most plants are doing great. 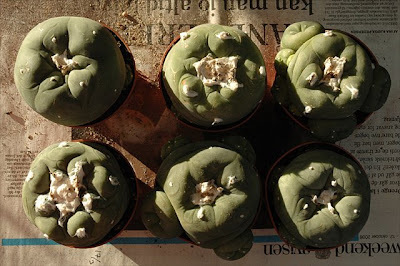 Last year I bought a couple of Ariocarpus fissuratus (JM122; Pecos County, Texas) plants from Mesa Garden. 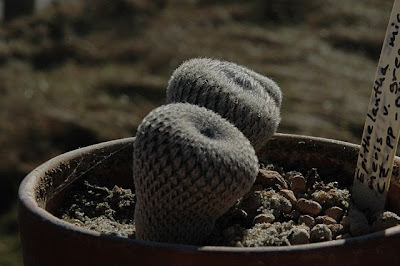 Coming out of winter they are still looking good and seem to have coped well with the cold. 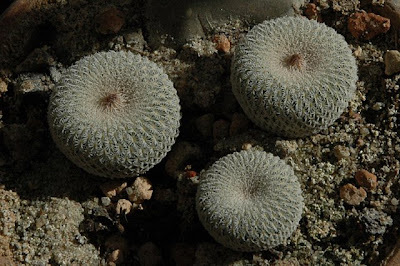 The Epithelantha plants pictured below were started from seed in 2004 and look like they are large enough to start flowering soon. 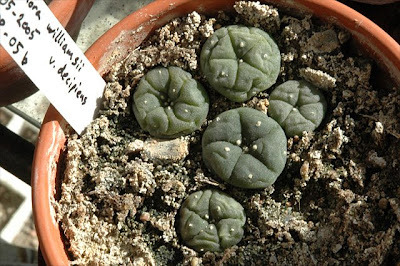 Apart from Epithelantha micromeris v. gregii I'm also growing the "regular" variety of Epithelantha micromeris. 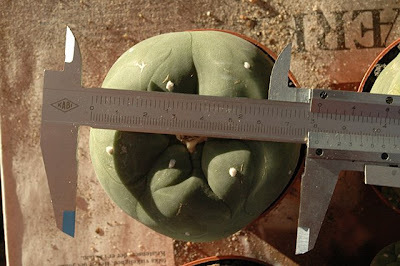 In my experience the regular micromeris is slightly slower growing than the greggii variety. 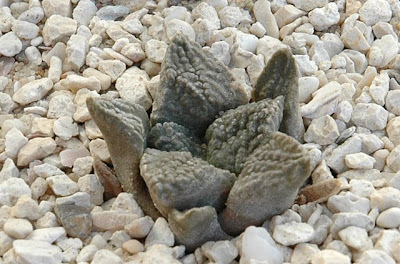 All of my Ariocarpus (including last year's seedlings) and Epithelantha plants made it through winter without damage. 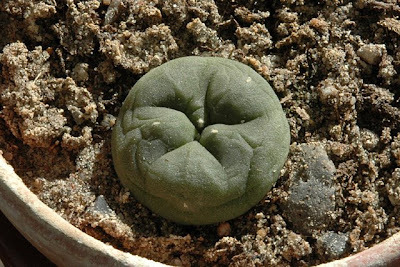 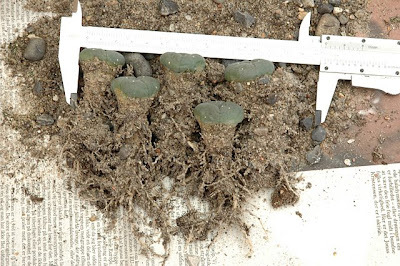 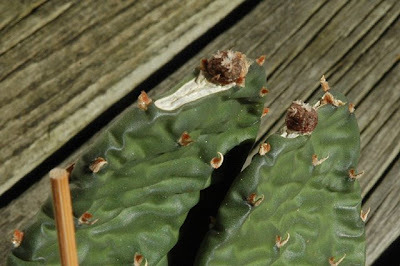 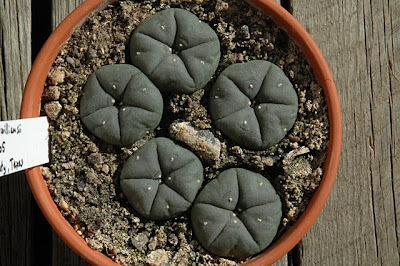 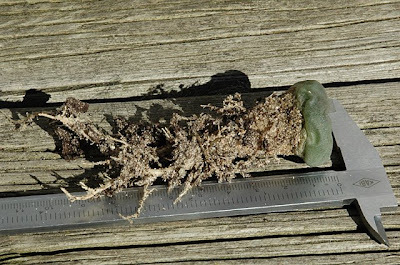 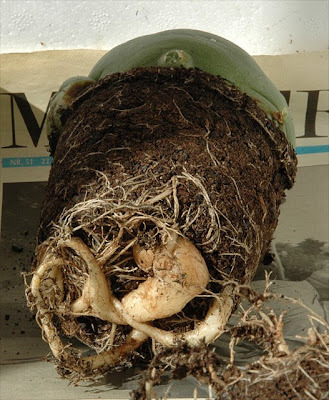 The next post describes how my Lophophora plants are doing after the winter.